This terminal is the permanent replacement of the the previous bus terminals in Jalan Jenulung Seksyen 17 Shah Alam, next to Treatment and Rehabilitation Method Centre. It was since relocated to Shah Alam Seksyen 13 and is conveniently located beside Stadium Shah Alam. 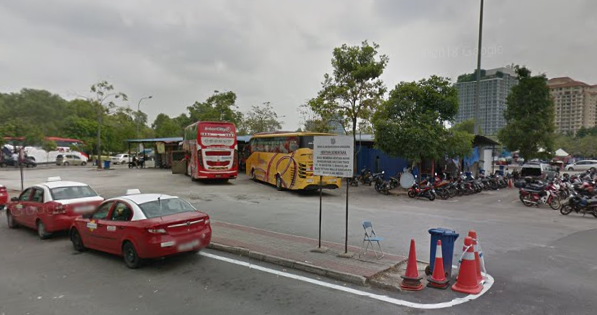 Among the bus operators that operate at this bus terminal include, famous names such as, Transnasional, Plusliner, and more, to areas such as Melaka, Kuantan, Johor Bahru and more. Travellers can access this bus terminal by taxis or intercity buses, as LRT or KTM are not likely options. CatchThatBus provide users with the convenience of booking online bus tickets from buses operating at Terminal Bas Express Sementara Seksyen 13 Shah Alam. These buses provide daily trips to and from Terminal Bas Express Sementara Seksyen 13 Shah Alam to numerous destinations. You can book your bus ticket online from our website or via mobile app which can be downloaded for free on Google Play or App Store.